The pump achieved from an intense workout is one of the greatest pleasures you can get in the gym. You push yourself to the limit and even though your muscles are fatigued and engorged with blood, giving your muscles that rock hard feeling, you push on. That’s where NO3 Ultimate stimulant free pre-workout comes into play. L-Citrulline can help reduce fatigue, increase nitric oxide production, as well as increase plasma arginine concentrations for an enhanced pump. Arginine Alpha-Ketoglutarate helps to not only achieve a pump to allow the muscle to fill with blood and nutrients but also helps extend the duration that the pump is present. 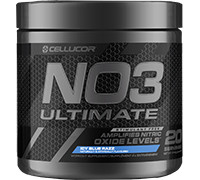 Suggested use: Take one serving (1 scoop) of NO3™, mixed with 10 fl. oz. of water 20-30 minutes before training. 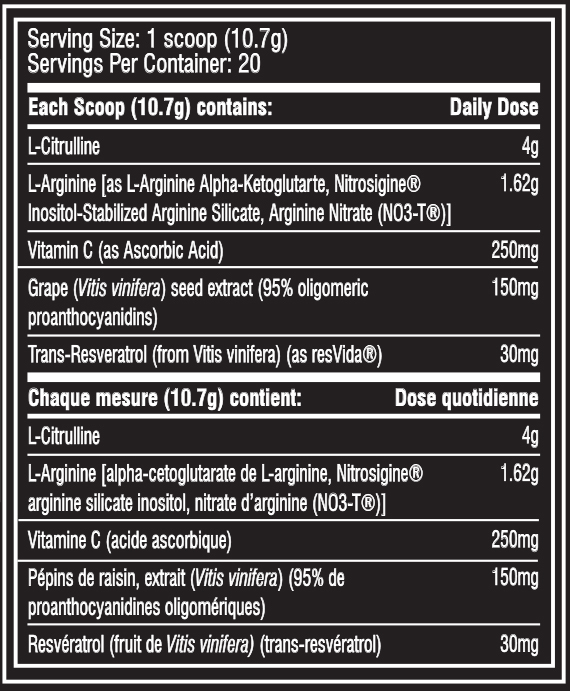 DO NOT EXCEED 1 SCOOP PER DAY.